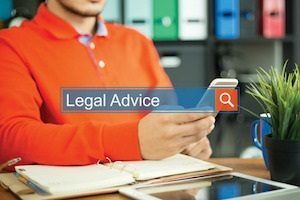 While the legal procedures for pursuing a lawsuit may be largely the same among these personal injury lawsuit types, the legal theories are far different. For example, establishing a professional standard of care is necessary in a commercial vehicle accident case, but it’s usually not needed when dealing with a car accident involving two non-commercial drivers. When you look for a personal injury attorney, you want someone who has familiarity with your specific type of case. Not only will they provide better legal representation, but they can do so much more efficiently, which can save you money. What Kind of Cost Can You Expect for a Personal Injury Lawyer? The cost you have to pay to obtain legal representation for your lawsuit is an important factor to consider. When you look for a personal injury attorney, you’ll need to make sure you understand how much your legal help costs. In most personal injury cases, your attorney will receive pay in the form of a contingency fee. This means they only get paid when you get paid, such as when you win or settle your case. The exact amount of this fee depends on a percentage you will agree to with your attorney, but it typically ranges from between 20% and 40%. The exact amount will largely depend on how challenging your case is and the skills of the attorney. Naturally, the more complex and challenging the case (which often means you have a lower chance of winning), the higher the contingency fee percentage will be. The higher contingency fee percentage arrangement offsets the greater risk the attorney faces of doing a large amount of work and not getting paid for it. Also, the more in-demand a lawyer for personal injury is (which usually coincides with how qualified they are, but that’s not always true), the more they can charge. The economic concepts of supply and demand that you learned back in high school or college also apply to attorneys’ fees to some extent. Depending on the lawyer for personal injury, this contingency fee is negotiable. You may find an attorney who is willing to lower the fee so they can have you as a client. If you’re wondering which specific lawyer for personal injury is right for you, consider contacting our legal team at Williams & Williams, LLC today.